Here, at the very moment of the summer solstice, it gives me great pleasure to announce something I have been sitting on for a few months whilst all the details were being worked out. Written in collaboration with Chris Wild and published by Fantastic Books Publishing, it will be produced in ebook and paperback form. We also hope to have a limited run of hardback special editions. To introduce it, here is the trailer. Written by Mike Singleton, it used a novel technique dubbed ‘landscaping’, which allowed the player to view the action in the game from, not merely a few hundred specific locations, but no less than four thousand. It utilised sprite-scaling and unique coding to perform this feat in the ZX Spectrum’s mere 48k of available memory, marking a huge change from the limited text-parsing adventures that had preceded it. …and then you were flung into the game with only your wits and cunning to help. To say it was a bit brutal is an understatement. You had a map, which gave you only the basic geography of the land you were in. You were tasked with both destroying an item of magical potency and defending your realm from the advancing forces of your adversary, the evil witch-king, ‘Doomdark’. And advance they did. Within days of the game starting, hostile armies would charge into your domain and wreak havoc. This was a game that you failed early and failed often. It played like a turn-based strategy game, but it was unlike anything that had gone before. All you could see was what your characters could see. There was no omniscient top down view of the action. Unless you had a character in a location, what was happening there was a mystery. This made the game tense and exciting, with plenty of heart stopping moments when you would be ambushed. I played it back in 1984 and it took me several months of gaming to figure out how to win. Rather like a certain space game I could mention, Lords of Midnight had something undefinable; something beyond the graphics and the clever coding. It had believability, a sense of atmosphere and grandeur that made it far more than the sum of its parts. It was described at the time as an ‘Epic’ game, and it probably deserves the accolade. Such was the fuss made that the original publisher, ‘Beyond Software’, offered to have a book produced based on the adventures of the first person to complete the game. Reams of thermal printer paper were sent in, but the book never appeared and the prize was eventually forgotten. Mike Singleton himself is sadly no longer with us, having passed away in October of 2012. However, his games live on and can now be enjoyed by fans old and new alike courtesy of Chris Wild, who has rewritten them for Apple, Android and Windows, converting them to touch input where appropriate, but retaining the charm and feel of the originals. This was no small feat in itself. Chris has also taken the opportunity to add a few extra features which will endear him to modern gamers. There is now a tutorial and a map built in, something that would be been very useful way back when! The graphics are instantly recognisable, but now have very high quality make overs. But why a novel, and why now? From my own perspective there were only two games that captivated me in the 1980s. Elite, and Lords of Midnight. I had a shot at writing an official Elite novel and believe I have done it justice. A chance conversation led to the possibility of writing something analogous for Lords of Midnight. Whilst I have other projects on the go, not least my own Shadeward Saga, I have the flexibility to adjust and accommodate changes. Shadeward is going to continue and it is all planned out for the next few years, but Lords of Midnight gives me the chance to reach out to another group of potential fans and close off another ‘unfinished tale’ from the 1980s. Who could refuse a chance to revisit their youth with the experience of age? Midnight, like Elite, is another well-developed fantastic world filled with adventure and untold stories. This will be yet another book “by a fan, for the fans”, written with care and love. If it goes well, we may have sequels. We have planned a series called the “Midnight Chronicles”, with the first book being the titular “The Lords of Midnight”. Chris’s remakes deserve higher recognition and the land of Midnight itself cries out for a fully realised novel set within its frozen borders. Here is a fantasy saga with a difference. 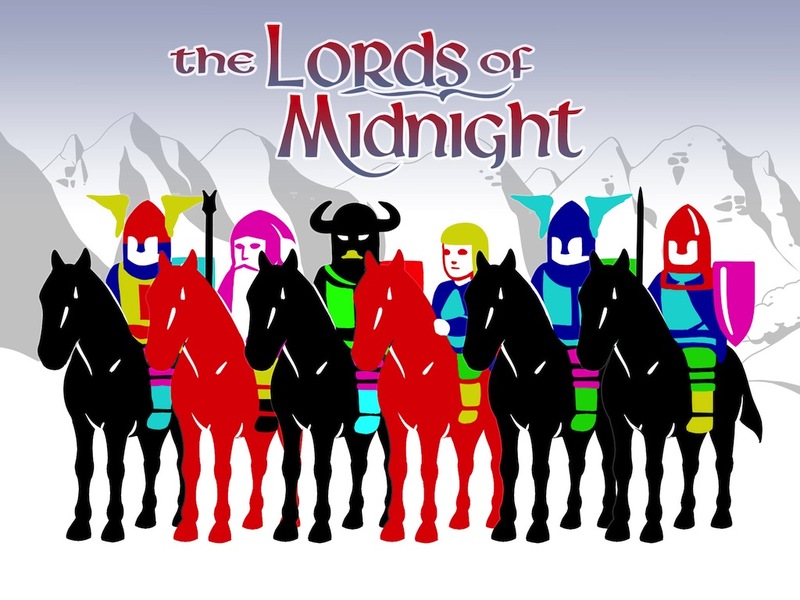 Lords of Midnight is no twee lightweight game of magic and spells, but a grown up game of depth, cunning, strategy and adventure that demands much of its players. Now, after more than thirty years, a novel that tells the story of the War of the Solstice is on its way. I am planning a follow up series of blogs, so if there are questions you’d like me to answer about this exciting project please leave them in the comments section below, @drewwagar or via facebook. So proud to be involved with this project. Excellent news Drew. Chris couldn’t have chosen a better author to carry on the work of dear Mike Singleton. Congratulations. Mike was a rather uncelebrated hero of the 8-bit days. If we can raise his profile a little, so much the better. Woah great news — more old-school game fiction is a good thing, and feel you will do this classic justice! Many thanks for the vote of confidence! Congratulations Drew. I had never heard of this game until now, but yes I can see the passion parallels with Elite. The “view in browser” link in the newsletter email doesn’t work, just FYI. Good luck with this Drew! Many thanks. I will check it. I’ve seen the game mentioned on some lists over the years, but never knew what it was about. Sounds interesting and seems to be one more proof that you could make deep and engaging games even with 8bit technology. I think the 8 bit restrictions actually enhanced games back then. We have to spend so much time on the expected HQ graphics and dynamics today that the pure essence of gameplay can get missed. Certainly the innovation isn’t nearly as obvious nowadays. Those were my most favourite games on my trusty Spectrum. Both had a certain verisimilitude that exceeded the limitations of their coding. Amazing and innovative design. I remember Lords of Midnight on the Speccy! Ah nostalgia, in fact I think I still have it on tape up in the loft. 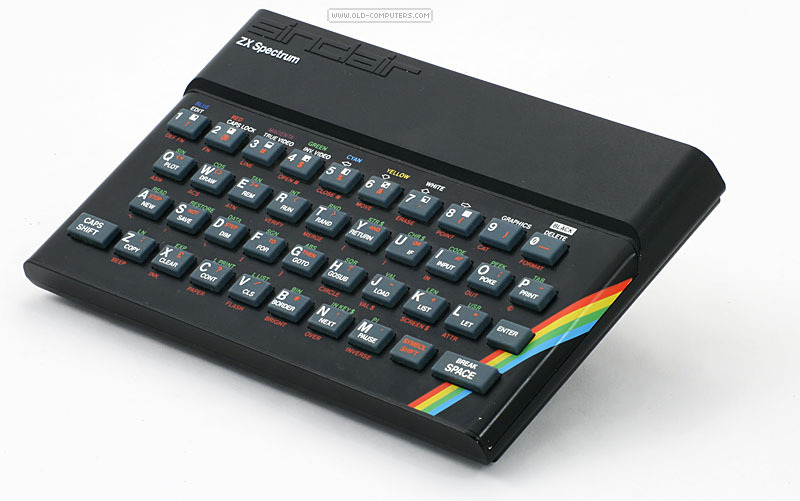 I still have a working ZX Spectrum and boxes full of Speccy cassette tapes up there! I played ELITE too, on my Speccy, and actually reached the E L I T E status. But LoM was something else. I was totally submerged in its world for a couple of years. I liked LoM better than DDR. I think DDR needed a little more polishing, because ideas were otherwise excellent! Chris Wilds adaptions are fantastic; Everybody should try them! Hi. Sounds really good! I’m a fellow LOM and DR fan, and I was fortune enough (depends on your point of view!) to have a small involvement in LOM: The Citdael (aka LOM III, aka the LOM that nobody likes talking about!) back in the mid-90s. I wrote the manual, helped play test the game and had copious and very long chats with Mike Singleton over the phone about the issues and bugs I came across when it was in development. That’s sounds fascinating. Perhaps we could do a blog article on that at some point? Better late than never… sure. I still have my bug reports from back then!